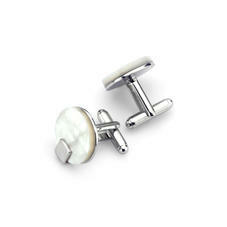 A sense of easy elegance is woven through each pair of our Full Moon Cufflinks. Luxury shines through in the contemporary, minimal silhouette and flawless finish, while the innate subtlety makes them perfectly suited to both business and formalwear. A choice of black onyx and white mother of pearl answers to a diversity of styles. 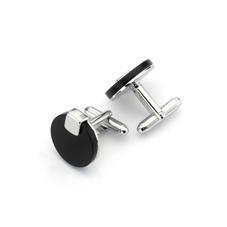 A simply timeless gift, cufflinks are always a welcome addition to any gentleman's repertoire. To elevate the presentation, add a sumptuously suede lined leather cufflink box and infuse a unique touch with embossed initials.